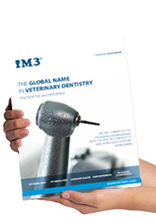 iM3 prides itself on its large involvement in providing continuing education for veterinarians worldwide. Our dedication, expertise and friendly customer service means our customers enjoy the very best support in the industry. iM3 is commited to supporting continuing veterinary education. There are over 50 programs, lectures and/or wetlabs in the schedule over the next 12 months. Our training workshops develop skills that participants can apply immediately in the consultation room or in surgery. At the Veterinary Training Centre the courses are conducted in small groups, so participants can receive one on one tuition they need to successfully master new skills. Our practical training programs are run by industry leading-training providers, ensuring your team receives the best training experience possible. Located in Brisibane, Melbourne and Christchurch New Zealand. This workshop will offer participants an introduction to the discipline of endodontics delivered in a combination of lectures and wet lab with expert tuition. contact iM3 for more information. The relationship with our customers is of the utmost importance to us, to ensure that our products are performing to a standard we're proud to offer. The iM3 Superior Technical Support Team (TST) comes FREE with every iM3 dental workstation or iM3 product. Our TST will continue to look after your dental system and all questions regarding handpieces, operational issues or maintenance long after you've taken delivery. We will help you to achieve the most out of your iM3 workstation and make veterinary dentistry a rewarding part of your day. Call us anytime during business hours on our "Tech Support Line" and we'll take care of all your needs or email us with your query and we'll get back to you promptly. Please read this document before contacting iM3 for CR7 Vet customer support.